Recently we reviewed our last years New Years post and felt that with all the new blog readers who have joined we should re-post the best part. Interestingly it contained the ‘roots’ theme we have adopted for 2017, which was entirely unintentional…please enjoy. This past year, being our first as stand alone Fitness Clinicians™ needs no literary punch up to justify some reflection. We made some progress and learned from some challenges. It is actually a bit odd after so many previous years training folks (in Kingston Ont) to be once again coming face to face with one’s career. Suffice to say we have risen to the occasion even if we have needed to make a few prudent adjustments. One tough fact of working to ‘help others help themselves’ is accepting the limits of our influence. Some people just aren’t ready and others are in far too much of a rush. We resolve to plant the seed and not over water. If it sprouts its easy to nurture, if it doesn’t…well maybe it is just temporarily dormant. An area we do not accept limits is our ability to learn and problem solve. 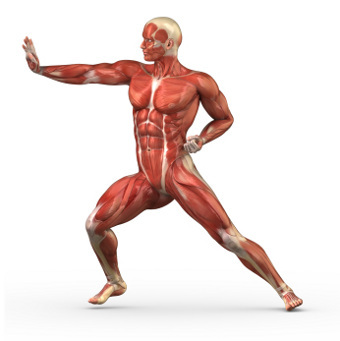 Where there is a will there is an exercise adjustment and nutrition tweak to lead the way. At the end of the day or the year the fact remains; when it comes to health each one of us has a unique dialect and family influenced accent and strength is the Rosetta Stone of body language. You have one true gateway to fitness and one honest protector of health. As of this year we are past softening our message and have come out fully on the subject of strength. Physical strength is fitness, there is no other fitness as it relates directly to health. Endurance, agility, flexibility, reaction time, mobility, stamina, pain recovery, pain avoidance, body image, body composition…everything is entirely dependant on your physical strength. There is actually little need for nutrition let alone special dietary consideration if you are not strong – why? – because only a strong body drains enough resources to merit substantial nutrition. We all live in an overfed society, nowadays if you are hungry or low energy it has nothing to do with lack of calories. Furthermore, you won’t even rest well if you aren’t strong enough to fully drain your ‘nervous system based energies’. And never forget, you can be as low body fat as you wish but without strength and muscle you will look unfit and feel vulnerable even perhaps sickly when faced with any real stress. ‘Be Strong‘ is not just our new catch phrase it is our declaration that strength centric exercise, strength based nutrition…a strength based life – is not a choice it is the clear separation between fit and unfit. Strength is where protection from the stressors of life and aging comes from and is inversely proportional to physical discomfort. Summed up, what is really fun about being transparent with our philosophy is being open to helping educate. 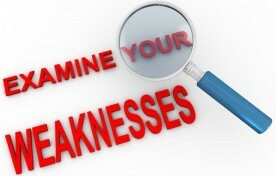 We can now concentrate on how important working your weaknesses really is, this rather than playing to your strengths. Counterintuitive as it may seem we could fill a thousand posts with how we see clients always making small subconscious adjustments to make exercises easier and how we have to help them fight this propensity at every turn. Suffice to say it is now our primary aim to explain why unconscious habit has held back public health and fitness not just with eating but even more so with exercise. 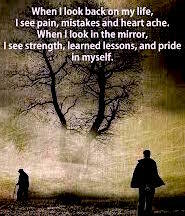 In this coming year as we continue to examine our weaknesses, let us help you strengthen yours. Prev Post: Strength or Cardio! ?